The Myanmar parliament enacted the Telecommunications Law No. 31/2013 (the Telecoms Law) on 8 October 2013, providing much-needed regulatory reforms to the telecommunications sector. With this enactment, the Telecoms Law also repealed the Myanmar Telegraph Act 1885 and the Myanmar Wireless Telegraph Act 1934. The Telecoms Law provides a high-level regulatory framework for telecommunication services such as network facility services, network service providers and application service providers. The Telecoms Law is supplemented by Notification No. 16/2014 dated 14 October 2014 (the Licensing Rules) issued by the then Ministry of Communications and Information Technology of the Union Government (MCIT), which introduces rules and regulations in respect of licensing as well as the implementing regulations to the Telecoms Law. In 2015, Notification No. 1/2015 (the Interconnection and Access Rules) was issued by the MCIT on 6 January 2015, Notification No. 21/2015 (the Telecoms Competition Rules) was issued on 9 June 2015, Notification No. 49/2015 (the Numbering Rules) was issued on 3 December 2015, and followed by Notification No. 10/2016 (the Spectrum Rules) on 7 March 2016. Since the 2015 general elections and change in government in Myanmar on 1 April 2016, the MCIT has been reorganised into the Ministry of Transport and Communications (MOTC) by way of Notification No. 9/2016 issued on 25 May 2016. Since then, the MOTC has issued several guidelines and notifications including the Technical Specifications for Short Range Device notice on 17 July 2016, the Guidelines on the Provision of International Gateway Services on 8 September 2016, the Telecommunications Numbering Plan on 31 January 2017 (Numbering Plan), and the Technical Specification and Quality of Service for International Gateway Service on 5 April 2017. In addition, the MOTC has launched a public consultation for the draft Myanmar Communications Regulatory Commission Law (the MCRC Law) on 15 May 2017. On 18 August 2017, the Myanmar Parliament adopted minor amendments to the Telecoms Law. The amended Telecoms Law allows judges to grant bail, narrows the locus standi to file claims by prohibiting third parties from filing cases under the amended Telecoms Law, unless they are directly affected or acting on an affected individual’s behalf, and lowers the maximum prison sentence from three years to two years for offences under Section 66 of the Telecoms Law (which relate to the misuse of telecommunication networks). The main regulator for the communications sector in Myanmar is currently the Posts and Telecommunications Department under the MOTC (the Department). In the past, the Department was both the regulator and the sole monopoly operator in the telecommunications market. However, the two roles have now been split, with the Department acting as the telecommunications regulator and Myanmar Posts and Telecommunications (MPT) serving as the primary state-owned telecommunications operator. However, the Department and MPT are not completely independent from one another as both operate under the MOTC. The responsibilities of the Department include the issuance and renewal of service provider licences, regulation of the frequency spectrum and numbering plans, ensuring consumer protection, inspection and supervision of service providers as well as instituting administrative actions against service providers. Certain functions of the Department, such as issuance of licences to foreign entities, must be approved by the MOTC. However, we understand from the draft MCRC Law that the MCRC is expected to take over these functions of the Department, in addition to other functions, such as advising the government on communications policies, promoting fair competition and assisting the Competition Commission with investigations into complaints regarding market conduct in the telecommunications sector. It is unclear whether the Department will remain once the MCRC takes over such functions. Pursuant to the Telecoms Law, the National Telecommunications Advisory Committee will be formed by the MOTC to, inter alia, make recommendations on technical standards, consumer protection and strategic development of the telecommunications sector in Myanmar, although it is not established to date. In addition, the Communication Appellate Tribunal (the Appeal Tribunal) will be established to hear administrative appeals against the MOTC’s decisions. Laws concerning the regulation of the internet include the Wide Area Network Order (Notification No. 3/2002), the Computer Science Development Law 1996 (CSDL) and the Electronic Transactions Law 2004, which was amended in 2014. It was reported that, in the near future, the Myanmar government will look to formulate cross-sector policies in specific areas such as cybersecurity, data protection and spam control as the infocommunications and technology sectors in Myanmar continue their current pace of development. Existing laws may also be amended or replaced if they are outdated or inconsistent with recent legislation. For example, the CSDL provides that the establishment or connection of a computer network without the prior approval of the MOTC is punishable with an imprisonment term of between seven and 15 years. From a general investment perspective, Notification No. 13/2017 (Classification of Promoted Sector) issued by the Myanmar Investment Commission persuant to the Myanmar Investment Law 2016 grants income tax exemptions to investors which manufacture telecommunications equipment, install telecommunication lines, construct telecommunication towers, undertake businesses related to regional fibre lines and provide telecommunication services. The period of income tax exemption will depend on the location of the investor’s operations in Myanmar. Foreign entities are permitted to apply for licences under the Telecoms Law. The Licensing Rules define a foreign entity as a legal entity in which a non-Myanmar citizen or foreign incorporated entity is holding a controlling interest, whether directly or indirectly, of more than 50 per cent of the voting stock, membership interest or general partnership interest in the entity. This definition differs from the more expansive definition commonly relied on under the Myanmar Companies Act 1914, which defines a foreign company as any company with at least one foreign shareholder. To date, four nationwide telecommunications licences have been issued, two of which were awarded to foreign operators: Ooredoo from Qatar and Telenor from Norway. The remaining two nationwide telecommunications licences were awarded to state-owned MPT and local internet service provider Myanmar National Tele & Communications Co, Ltd (MNTC). After an initial delay in the licensing process, the MCIT granted official nationwide telecommunications licences to both Ooredoo and Telenor on 30 January 2014. The licences came into effect on 5 February 2014 and currently remain valid for a duration of 15 years. According to a list of licensees available on the MOTC’s website dated 24 May 2017, MPT was issued its nationwide telecommunications licence on 24 March 2015, while the fourth nationwide telecommunications licence was issued most recently to the MNTC on 12 January 2017; both licences being valid for 15 years. A list of licensees published by the MOTC on 24 May 2017 also showed that a number of service licences (defined below) have already been issued to companies including Shwe Than Lwin Media, Myanmar Tower Company, KDDI Summit Global, Yadanarpon Teleport and FPT. 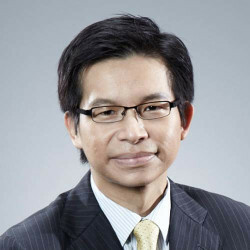 Most notably, Vietnamese technology company FPT was the first 100 per cent foreign-owned company among the list of licensees. Local and foreign individuals or organisations must apply for a licence (service licence) from the Department if they wish to provide network facility services, network services or application services. In addition, there are two subcategories of network facility service licences: individual and class licences. According to the Licensing Rules, an applicant may apply for and hold only one type of licence from this list. A network facility service (individual) licence permits the licensee to engage in all services covered by the network facility service (class) licence, network service licence and application service licence without having to separately apply for those respective licences. In turn, the Department will submit the application to the MOTC for approval. In the case of a foreign application, the MOTC will need to submit the application for further approval from the Myanmar government. Once the required approvals are obtained, the MOTC will instruct the Department to issue a service licence to the individual or organisation (the licensee) for a term of five to 20 years, renewable upon application and approval by the Department and the MOTC. However, pursuant to the Licensing Rules, such licence term could range between five and 20 years. In addition, the Licensing Rules provide that the provision of telecommunications services without a licence carries penalties of imprisonment of up to five years or a fine, or both. The Department recently published a draft schedule to revise the licence fee structure. The new proposed schedule keeps the same rates for each category of telecom licences but imposes a minimum fee for maintenance of licences. This new fee schedule is targeted at eliminating inactive licences and encouraging the fulfilment of the commitments and conditions under a licence. Further, it is reported that the Department intends to modify general licensing conditions to include the filing of quarterly reports. The MOTC may require individuals and organisations to hold a licence in order to use or possess certain telecommunications equipment (telecoms equipment licence). In such instances, local and foreign individuals or organisations must apply to the Department for a telecoms equipment licence in order to possess or use such telecoms equipment. However, under section 13 of the Telecoms Law, individuals and organisations are exempt from obtaining a telecoms equipment licence in instances where telecoms equipment is used by a service licensee or obtained from a service licensee. Pursuant to the Licensing Rules, a satellite service provider (satellite provider) must obtain approval from the Department before providing satellite services. In its application to the Department, a satellite provider must also submit a sharing study for bands shared with FL providers in order to avoid interference. If the Department approves the application, the Department will forward the application to the MOTC, as well as the Myanmar government in the case of foreign applicants, for its final approval. Once approved, the satellite provider may be subject to a number of obligations in its licence, such as only operating in approved frequencies, and adhering to certain technical conditions such as power limits. It was reported that the Information Technology and Cyber Security Department (ITCSD) of the MOTC entered into an agreement with Intelsat Global Sale & Marketing Ltd to enable other ministries and private companies, from 1 December 2016 onwards, to lease and make use of the C-Band Transponders from the MyanmarSat-1a satellite and the Ku-Bank Transponders from the MyanmarSat-1b satellite. According to the Spectrum Rules, the procedure for authorising the right to use radio spectrum, conditions for authorisation of spectrum rights and spectrum fees shall be determined by the Department after public consultation. Radio spectrum may be issued by auction, by tender or by a fixed price. Spectrum licences may only be transferred or assigned upon prior written approval from the Department. The transferee will need to comply with any relevant requirements as stipulated in the Telecoms Law and the applicable regulations. The Telecoms Law provides for ex-ante regulation for access and interconnection. The relevant provisions state that the access and interconnection provided by licensees shall be on a non-discriminatory basis and must not be of a lower technical standard or quality than the original technical standard. According to the Interconnection and Access Rules, the Department has the power to, inter alia, direct licensees to enter into an interconnection agreement and direct a dominant licensee to enter into an access agreement with another licensee. The fee charged in an interconnection agreement may be calculated based on the principle of cost recovery coupled with a reasonable return on the capital employed. The fee charged in an access agreement may only be calculated based on the costs for providing the service. In addition, any interconnection agreement and any access agreement must be approved by the Department. The Telecoms Law and the Telecoms Competition Rules also provide ex-ante regulation on anticompetitive practices. For instance, licensees must not engage in conduct or any arrangements that would hinder the nature of free competition in the telecommunications market. In addition, licensees are precluded from restricting users or customers by requiring them to only acquire telecommunications equipment or services from such licensee. There are currently no legislative provisions in the Telecoms Law, Licensing Rules or Telecoms Competition Rules requiring structural or functional separation between an operator’s network and service activities. However, there may be a need to introduce structural separation requirements in the future if, for example, certain operators offering fixed-line and mobile services acquire significant market power. The Telecoms Law briefly stipulates the universal service obligations of the telecommunications service licensee to supply basic telecommunication necessities in any place of public interest, and the establishment of a Universal Service Fund for the implementation of such. However, no details of specific universal service obligations and financing are provided. It is also unclear whether the universal service obligations are intended to apply to broadband. According to a draft Telecommunications Master Plan published on the MOTC’s website on 8 July 2015, the MOTC was expected to establish the Universal Service Fund by mid-2017 and raise funds by way of operator proceeds, which may be collected from all categories of telecommunications licensees as early as 2018. However, the Universal Service Fund has yet to be established and consultations by the MOTC with stakeholders are still ongoing as of March 2018. The Numbering Plan sets out number allocation in Myanmar in accordance with the ITU-T Recommendation E.164 The International Public Telecommunication Numbering Plan. The country code for Myanmar is +95, with National Significant Number lengths between seven and 10 digits, and National Destination Codes (NDCs) of one or two digits. The uses of first and second significant digits as at August 2016 are set out in the Numbering Plan. The geographic NDCs for Yangon and Mandalay are 1 and 2 respectively, while all other NDCs comprise two digits. A full mobile number consists of the mobile NDC 9, followed by a subscriber number (SN) that may start with any of the digits 1 to 9, although 1 is not yet used. All new mobile SNs issued since 2014 contain nine digits, while some older mobile SNs contain seven or eight digits. A number portability regime allows users to switch mobile phone carriers without changing their current number. The Telecoms Law, Licensing Rules and Numbering Rules do not currently have provisions on number portability. In its public consultation on the then draft Licensing Rules and Numbering Rules issued on 4 November 2013, the MCIT noted the significant risks of causing disadvantage to the incumbent telecommunications operators by introducing mobile number portability too early into a market in its early stage of development. As such, the MCIT proposed that number portability should only be introduced into the mobile phone market after the market has begun to stabilise. Nonetheless, a number portability provision may be introduced in the future as more operators enter Myanmar’s telecommunications market. The MCIT stated in its draft Telecommunications Master Plan that it may reconsider the number portability issue when it conducts a full market review in 2018. As of March 2018, the MCIT has not implemented any rules on number portability. Yes. According to the Telecoms Law, the Department will, subject to approval from the MOTC, determine the consumer protection standards with which service licences have to comply. The Licensing Rules briefly list the consumer protection obligations of telecommunication licensees such as obligations to establish standardised contracts with end users, publish service access conditions including tariffs and the quality of service, as well as providing written policies to end users in relation to the protection of personal data and information privacy. The Telecoms Law does not have any specific regulations regarding net neutrality or an ‘open internet’ policy. There are currently no restrictions under the Telecoms Law that restrict ‘zero-rating’ of data transmission by application or service providers. The Telecoms Law also does not appear to prohibit bandwidth throttling. The Telecoms Law does not contain any specific provisions or regulations that seek to regulate digital platforms. However, it should be noted that content published on such digital platforms may still be subject to certain content-related restrictions under Myanmar law. No, Myanmar’s broadband industry is still in its infancy and the country does not have established NGA networks. Nonetheless, public sources indicate that MPT, Telenor and Ooredoo have already launched 4G service networks in 2016 but performance has remained sub-optimal, owing to the lack of spectrum available. The Department published a consultation paper in February 2017, acknowledging that distributing the spectrum via auction would be more transparent, but instead opted for the direct allocation method for the sake of expediency. The Telecoms Law briefly provides that a telecommunications service licensee will be required to securely maintain information and contents transmitted or received through its telecommunications services, and must not disclose confidential personal information of its users to third parties unless required by law. While there is no elaboration of specific data protection obligations under the Telecoms Law, it provides the MOTC with the power to intercept and to obtain necessary information and communications in an emergency and for public interest. In addition, Myanmar currently does not have a general cross-sector data protection law in place, apart from the Law Protecting Privacy and Security of Citizens No. 5/2017 dated 8 March 2017 (Citizens’ Privacy Law). The Citizens’ Privacy Law guarantees every Myanmar citizen the right to privacy and security and contains provisions relating to prohibitions against surveillance, interception of communication, searches relating to correspondences or unlawful seizures of movable or immovable property without an order, permission or warrant by a government body. Any person found guilty of committing an offence under the Citizens’ Privacy Law can be liable to a fine between 300,000 kyat and 1.5 million kyat or imprisonment of at least six months up to a maximum of three years. The ITCSD was formed on 1 April 2015, pursuant to Notification No. 9/2015 issued by the then MCIT, and is currently operating under the MOTC. The functions of the ITCSD include: to meaningfully integrate and implement the e-Government plans that have been drawn up by the respective ministries; to prescribe the information technology and communication standards; and to closely monitor and implement the measures in relation to maintenance of cybersecurity. creates, modifies or alters information or distributes information created, modified or altered by electronic technology to be detrimental to the interests of or lowers the dignity of any organisation or any person shall be punished with a fine of a minimum 5 million kyat and up to 10 million kyat. Failure to make payment of the fine may result in a prison sentence of minimum one year and up to three years. Under the ETL, the Electronic Transactions Control Board has the functions and powers to have access to and inspect the operation of any computer system and any associated apparatus or material that it has reasonable cause to suspect is or has been sued in connection with any offence under the ETL. In addition, section 4(b) of the ETL strongly suggests that the ETL may have some extraterritorial application, although it is unlikely in practice that the Myanmar regulatory authorities would take enforcement actions against foreign companies incorporated outside Myanmar owing to the existing capacity constraints of the authorities. Separately, the Telecoms Law has a general obligation under section 69 that any person who discloses any information ‘kept under a secured or encrypted system to any irrelevant person by any means’ shall be liable to a prison sentence of up to one year or a fine, or both. This obligation is admittedly very vague and there is no further elaboration of what a ‘secured or encrypted system’ is or who such ‘irrelevant persons’ are. However, in light of section 70, which specifically mentions ‘any licensee’, we are of the view that this obligation generally applies to any corporate or individual persons, licensees and telecommunication service providers. Given that Myanmar has a relatively low internet penetration rate and ‘big data’ is a relatively recent phenomenon, there is no specific legislation or regulation in place to address big data as yet. Given that Myanmar does not have a cross-sector data protection law or comprehensive provisions on data protection to date, there are no regulations that require data to be locally stored within Myanmar. The first two nationwide telecommunications licensees, Ooredoo and Telenor, launched their services in Myanmar in 2014 and public media reported that as of October 2017, Ooredoo Myanmar had 9.9 million subscribers while Telenor had 22.2 million subscribers. In 2014, the state-owned MPT entered into a partnership with two Japanese firms, KDDI Corporation and Sumitomo Corporation, to expand its telecommunications operations in Myanmar, and as of October 2017, it reportedly had 25.5 million subscribers in Myanmar with 43.5 per cent market share. In January 2017, the fourth and final telecoms licence was awarded to MNTC, a joint venture between Viettel Global, a Vietnamese state-owned company and two local Myanmar companies called Myanmar National Telecom Holding Public Limited and Star High Public Company Limited. Viettel holds a 49 per cent stake, while the local Myanmar companies hold stakes of 23 per cent and 28 per cent respectively. With regard to recent trends in the legislative and regulatory environment, the Licensing Rules, Access and Interconnection Rules, Numbering Rules, Telecoms Competition Rules, Spectrum Rules and the Gateway Guidelines have been enacted over the course of 2015 and 2016. The MOTC and the Department have issued the first batch of International Gateway licences as at end December 2017, pursuant to the Guidelines on Provision of International Gateway Services. Foreign companies registered in Myanmar may apply for such licences. According to publicly available sources, it was reported that the Department published the draft Universal Service Strategy for Myanmar (2018-2022) on 29 December 2017, with targets to reach 99 per cent coverage of the population for mobile signal and basic mobile voice services in the next five years, as well as geographic coverage for 28 major national highways and roads. It also aims to ensure coverage of 95 per cent of the population for broadband services. The media industry in Myanmar is regulated by the Ministry of Information (MOI), which currently consists of three departments and two enterprises: the Myanmar Radio and Television Department, the Information and Public Relations Department, the Printing and Publishing Department, the News and Periodical Enterprise and the Myanmar Motion Picture Enterprise. The national broadcaster, Myawaddy TV, is a government-owned free-to-air TV channel that broadcasts throughout the country. The Myanmar government has provided a 10-year licence to a private company, Myanmar Media United, to operate five digital TV channels under the Myawaddy TV franchise. Myanmar is working towards creating a more open and liberal media environment with several media laws proposed to reflect such liberalisation. One example would be the Television and Broadcasting Law (the TV and Broadcasting Law) passed on 28 August 2015, which allows private TV broadcasters to operate in Myanmar (albeit with foreign ownership restrictions), and aims to regulate the licensing of broadcasting institutions. On the other hand, we understand that the Public Service Media Bill previously prepared by the MOI in 2013 was withdrawn on 18 March 2015 for review and redrafting. The bill sought to transform Myanmar’s state-owned media into independent public service broadcast media and newspapers. Public sources indicated that the MOI had withdrawn the bill to reassess its compatibility with the TV and Broadcasting Law and to reconsider certain issues amid public feedback against the funding for public service newspapers. To our knowledge, it appears that the TV and Broadcasting Law, including the licensing regime established under the law, has not been effectively enforced in practice in Myanmar and we understand that as of 7 March 2017, the MOI has formed a committee to review the TV and Broadcasting Law. In mid-March 2014, two media laws were enacted in Myanmar: the Media Law proposed by the Interim Myanmar Press Council (MPC), which is an independent association of journalists and media organisations, and the Printing and Publishing Enterprise Law (PPEL) proposed by the MOI. These two pieces of legislation were enacted to, among other things, repeal the 1962 Printers and Publishers Registration Law (PPRL). Previously, under the PPRL, any form of press freedom was substantially constrained and any form of publication was subject to strict censorship rules implemented by the Press Scrutiny and Registration Division (PSRD). However, prior to the enactment of the new media laws, the PSRD has ceased operations since August 2012 and was officially abolished on 24 January 2013. The PSRD’s abolishment means that reporters are no longer subject to pre-publication censorship. To date, both the Media Law and the PPEL continue to coexist. The Media Law primarily concerns press freedom and the conduct of journalists in Myanmar. It provides that all publications must be free from censorship and guarantees the protection of journalists from arbitrary arrests. The Media Law also affords various press freedoms to journalists such as the right to conduct investigative journalism and the right to openly criticise the shortcomings of the legislature, executive and judiciary, subject to general journalism ethics and standards. We understand that the MPC released a Code of Conduct for the media on 3 May 2014, which provides guidance on issues of privacy, politics and intellectual property. Any journalist found to be in breach of the responsibilities and ethical obligations under the Media Law could be fined a minimum of 300,000 kyat and up to a maximum of 1 million kyat. In addition, under the Media Law, the Myanmar News Media Council (MNMC) has been established as a permanent independent media organisation constituting representatives from the government, news agencies, journalists, printers and publishers. Under the Media Law, the MNMC has various functions and powers including the ability to create a fund to finance activities and programmes relating to the media sector in general, subject to the president’s oversight and assignment of responsibilities. Further, the MNMC has a role in resolving disputes involving journalists. Complaints from and against journalists may be brought to the MNMC and if the dispute cannot be settled by the MNMC, the complaint can be brought before the Myanmar courts. In June 2015, the by-laws to the Media Law were enacted by Parliament and contained chapters on the procedure for election of the MNMC, powers of the MNMC as well as how the MNMC will be financed. Public news media reported that the first members of the permanent MNMC were elected on 21 October 2015 and have replaced the MPC moving forward. Application criteria for printing and publishing licences; this includes a minimum age of 18 years for the applicant. Further, a copy of the entity’s certificate of incorporation and Myanmar Investment Commission permit (if applicable) is required. Details as to the licence fees; these are currently set at 50,000 kyat for the initial application; there are currently no details with respect to how much it would cost to renew such a licence. The scope of the publishing licences. In this respect, the by-laws contemplate four types of licences, namely newspaper publishing licences, journal publishing licences, magazine publishing licences and general publishing licences. Details as to the term of the licence, as well as the conditions. For instance, the licence is generally valid for five years. The licence may be revoked if the business is transferred or sold, or if the business is inactive for two consecutive years, or if the entity undertaking the licensed activities is liquidated. Yes, foreign participation in the media sector is still restricted. The State-Owned Economic Enterprises Law 1989 (SOEEL) specifies that broadcasting and television services as well as postal and telecommunications services are closed to private investment and may only be carried out by the Myanmar government or in a joint venture with the Myanmar government. However, there have been liberalisations introduced by the TV and Broadcasting Law, which allow foreign companies to hold up to a maximum of 30 per cent of the total capital investment in a commercial broadcasting institution, subject to approval from the National Broadcasting Council established under the MOI. It is unclear how the liberalised TV and Broadcasting Law is intended to interact with the prohibition under the SOEEL, although it can be argued that the enactment of the TV and Broadcasting Law is intended to qualify the prohibition under the SOEEL. In this respect, the SOEEL provides the Myanmar government with the right to permit, in the interests of the Republic of the Union of Myanmar, other persons or economic organisations to undertake certain restricted activities. Further, Notification No. 15/2017 (List of Restricted Investment Activities) issued by the Myanmar Investment Commission pursuant to the Myanmar Investment Law 2016 states that investors are prohibited from publishing and distributing periodicals in ethnic languages including the Myanmar language. In addition under Notification No. 15/2017, all investors are required to seek approval from the MOI if they wish to participate in activities such as publishing periodical newspapers in foreign languages, broadcasting FM radio, direct-to-home programmes, cable TV and digital video broadcasting. Further, cross-ownership of print media and broadcasting media requires approval from the MOI under Notification No. 15/2017. Notification No. 15/2017 was issued on 10 April 2017 and is the operative regulation relating to the classification of types of economic activities permitted to be undertaken by foreign investors in Myanmar. In respect of press-related activities, we understand that under the by-laws of the PPEL, foreign nationals are allowed to apply for a printing or publishing licence with prior approval from the Myanmar Investment Commission. Separately, we understand that under the TV and Broadcasting Law, cross-ownership of print media and broadcasting media will be subject to approval by the MOI. The MOI is in charge of issuing licences for any printing, publication and broadcasting. The PPEL primarily concerns licensing and registration of media-related activities and requires all media enterprises to be registered with the MOI. We understand that under the implementing regulations to the PPEL, licensing applications are made to the MOI and approval is usually granted within three weeks of application, although delays are not uncommon. A registration fee of 50,000 kyat is payable upon approval from the MOI and the printing or publishing licence shall be granted within three days of such payment subject to certain delays in the administrative process. Licensees are required to start their printing or publishing business within two years of the grant of the licence and abide by any further conditions stated in their licences. Licences are valid for five years subject to the MOI’s discretion to revoke the licence for publications that are deemed harmful or against the public interest. Broadcasting licences are governed by the TV and Broadcasting Law. The National Broadcasting Council is in charge of issuing broadcasting licences based on a consideration of multiple factors including market capacity and public interest. Commercial broadcasting licences for radio services are valid for seven years, while licences for television services are valid for 10 years. Licences issued under the TV and Broadcasting Law can be renewed within 45 days after the expiry date. Relevant licence fees will be determined by the National Broadcasting Council on a case-by-case basis depending on the nature and scope of the broadcasting services provided by the licensee. The TV and Broadcasting Law stipulates that commercial TV broadcasting institutions with national coverage are required to allot at least 30 per cent of its programmes to local content. The TV and Broadcasting Law also states that commercial TV broadcasting institutions must carry at least 20 per cent of programmes from local independent producers, out of which 10 per cent should be broadcast during ‘prime time’ slots. Radio broadcasting institutions with national coverage will need to allocate at least 70 per cent of its programmes to local content. Under the 2015 TV and Broadcasting Law, commercial broadcasting institutions can broadcast commercial advertisements for a maximum of 12 minutes for every hour of daily broadcasting. In addition, commercial broadcasting institutions will be required to allot at least 5 per cent of their airtime to public service advertisements for free as part of their corporate social responsibility obligations. The TV and Broadcasting Law expressly states that the law does not apply to broadcasts over the internet. As such, online advertising is not subject to the TV and Broadcasting Law. Although there are currently no specific regulations that govern online advertising, we understand that the MOI issued a Media Advertising Policy in July 2014 that serves as a guideline for media advertising. It is not expressly stated in the Advertising Policy whether any sanctions or penalties will be imposed by the MOI for non-compliance. The Public Service Media Bill contains provisions regulating printed advertisements by newspaper enterprises. However, since the bill was withdrawn, there are currently no regulations with respect to newspaper advertisements. In respect of signboard advertisements including billboards and similar structures built for advertising, advertisers will need to seek separate approval from the relevant municipal authority. For instance, in Yangon, the Yangon City Development Committee (YCDC) has issued rules stating that any person seeking to erect and fix a signboard and advertisement must apply to the YCDC for permission to do so. A permit will be issued after the YCDC has reviewed the advertisement and the applicant has paid the relevant advertisement taxes. Advertisements from government departments and religious or social organisations are exempt from this advertisement tax. In addition, the YCDC may occasionally inspect the erected signboards and instruct relevant persons to maintain the signboards. The TV and Broadcasting Law does not stipulate a basic set of programmes that must be carried by a broadcasting institution. It is unclear whether such obligations are set out in all of the licences held by the respective broadcasters. In general, commercial TV broadcasting institution are required to provide free-to-air channels on at least 20 per cent of subscribed channels under the TV and Broadcasting Law. The TV and Broadcasting Law does not apply to broadcasts transmitted through internet mediums, for example, over-the-top content. Given Myanmar’s rapidly rising internet penetration rates, it is conceivable that the Myanmar government may regulate internet media in the future. There are currently plans under way for the switchover from analogue to digital broadcasting. The first phase was introduced in December 2013 beginning with the major cities Yangon, Naypyitaw, Mandalay and Sagaing. Phase II, which entailed smaller cities such as Taunggyi, Sittwe, Bago and Mawlamyine, was slated to be completed by the end of 2014. Phase III was intended to be undertaken in 2015 with Phase IV taking place in 2016. Currently, public sources state that the transition is in Phase III. In total, we understand that 250 stations will be affected by the digital switchover. We understand that the MOI has indicated that the national switchover to digital broadcasting will be completed by 2020. Broadcasting institutions licensed under the TV and Broadcasting Law are expected to abide by the Spectrum Rules (Notification No. 10/2016), which makes reference to a National Table of Frequency Allocations for the three regions of Myanmar. Failure to comply with the Spectrum Rules might result in a warning, a withdrawal of the allocated frequencies or a fine of up to 5 per cent of its revenue in the preceding calendar year, although enforcement action has generally been weak in the absence of active monitoring and protection of assigned frequencies. There are currently no regulations for assessing media plurality in Myanmar given that Myanmar’s media sector is only just beginning to liberalise. The Myanmar government and agencies within the media sector, such as the MPC, are keen to consciously move away from strict censorship restrictions previously present in the 1962 PPRL towards a more liberal regime. The return of formerly exiled media groups such as the Democratic Voice of Burma and the ethnic umbrella group Burmese News International reflects this trend. Further, it is expected that the media industry would be more independent. For instance, Myanmar’s previously wholly state-owned newspaper, the New Light of Myanmar, is now partly held by a private Myanmar firm. The lead-up to the highly publicised Myanmar elections in November 2015 was an indication of the direction that Myanmar citizens, especially journalists, are taking towards free speech and new media formats. On 11 April 2017, the MOI issued five new free-to-air television licences, which included former ‘exiled media’ companies like Mizzima Media and DVB Multimedia Group. It will also be interesting to see whether the revised Public Service Media Bill can effectively transform Myanmar’s state-owned media into independent public service media. However, the enactment of the Public Service Media Bill has been delayed since 2015. The communications sector is regulated by the MOTC while the media sector is regulated by the MOI. Anticompetitive practices are regulated specifically with respect to the communications sector under the Telecoms Law. The Department, with approval from the MOTC, may direct a licensee to cease operations if it is found to engage in anticompetitive practices. Such anticompetitive practices can include activities that have the effect of lessening competition in the relevant market, entering into anticompetitive agreements (eg, price fixing) and restricting a user from acquiring and using telecommunications equipment or services from other providers. The Telecoms Competition Rules further elaborate on such powers. Besides the relevant ministries responsible for the telecommunications and media sectors, the responsibility for formulating a cross-sector competition policy is presently vested with the Ministry of Commerce through the Competition Law, which was enacted on 24 February 2015 and came into force on 24 February 2017. The MCRC Draft Bill also anticipates that the MCRC will assist the Competition Commission (established under Section 5(a) of the Competition Law) to regulate market conduct in the Telecommunications and Postal Services markets. However, the Competition Commission has not been established to date. There is a carve-out under Rules 47 and 48 of the Telecoms Competition Rules, which expressly states that the Department, subject to approval from the MOTC, has exclusive jurisdiction over anticompetitive conduct, agreements and transactions in the telecommunications sector. Notwithstanding the Department’s powers in this regard, the Department is expected to consult with the Competition Commission before issuing any order, direction, determination or sanction on a licensee. Any appeals of decisions issued by the Department under the Telecoms Competition Rules must be made to the MOTC within 30 days from the date of the decision. Any person not satisfied with the MOTC’s decision may appeal to the Appeal Tribunal established under the Telecoms Law within 45 days from the date of the MOTC’s decision. Under the Competition Law, any person who is dissatisfied with the findings of the investigation committee may appeal to the Competition Commission within 60 days of the decision. The Competition Commission is the final adjudication authority under the Competition Law. The Competition Law was enacted on 24 February 2015 and came into effect on 24 February 2017. The Competition Rules 2017, which were drafted by the Ministry of Commerce in exercise of their powers conferred by section 56(a) of the Competition Law 2015, came into effect on 9 October 2017. The Competition Rules establish various regulatory bodies such as the Competition Commission, the Commission Office, the Investigation Committee and a Working Group. The Competition Commission is responsible for, among other things, initiating investigations if a business is suspected to have violated any prohibitions under the Competition Law or if a credible complaint is made. The Commission Office receives the complaints of potential violations and assesses the complaints before reporting its findings to the Competition Commission, and collaborates with the court or relevant legal offices with respect to granting leniency. The Investigation Committee is formed by the Competition Commission to investigate complaints and the Working Group is a body formed in connection to making investigations, and carries out the duties and obligations given to it by the Investigation Committee. The Competition Law aims to regulate agreements that restrain competition and punish the abuse of market dominance, unfair trade practices and the formation of cartels and introduces penalties of a fine of between 10 and 15 million kyat or imprisonment from two to three years (or both) for non-compliance with the prohibitions against such anticompetitive behaviour. It remains to be seen whether the Competition Law can be effectively enforced. The wide ambit of the Competition Law and potential overlaps in provisions also give rise to a potentially large caseload, which is not helped by the fact that capacity and resources within Myanmar’s civil service are still being developed. That being said, the Competition Rules supplement and provide clarity on the Competition Law. In this regard, the Competition Rules prescribe the procedures for carrying out investigations as well as the powers granted to investigators, together with a leniency framework for whistle-blowers who had participated in cartel activities. Rajah & Tann Singapore is a prominent full-service law firm in Singapore and one of the largest in South East Asia. Over the years, our firm has been at the leading edge of law in Asia, having worked on many of the biggest and highest profile cases in the region.